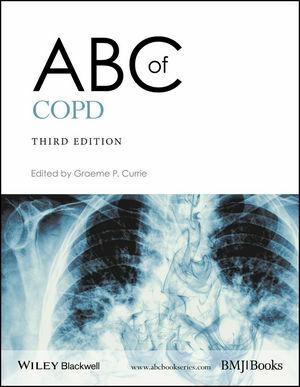 The third edition of the ABC of COPD provides the entire multidisciplinary team across both primary and secondary care with an up-to-date, easy to read and accessible account of this common lung disorder. Thoroughly updated by experienced clinicians dealing with patients with COPD on a regular basis, it discusses the entire breadth of the condition from epidemiology, causes, diagnosis, treatment and end of life care. The ABC of COPD is an authoritative and essential guide for specialist nurses, general practitioners, physiotherapists, junior doctors, front line staff working in emergency departments, paramedics, physician associates and students of medicine and its allied disciplines. Graeme P. Currie, Consultant Respiratory Physician at Aberdeen Royal Infirmary, UK.